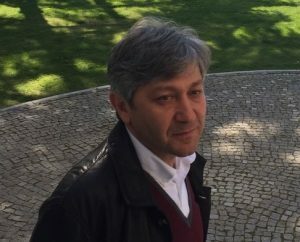 I am a professor of Computer Engineering at the Middle East Technical University (METU), Ankara, Turkey. My research interests lie in the areas of machine learning for bioinformatics, machine learning applications, and data clustering. I am currently a member of the International Technical Advisory Board of Arcelik (Research and Development Directorate), and a member of the Board of Directors of Izmir Biomedicine and Genome Institute (iBG-izmir). I have obtained “Diplôme de Docteur dans la spécialité Informatique” (Ph.D in computer science) from Université Paris Descartes, Paris, France. During sabbatical leave, I spent a year (2004) at Virginia Bioinformatics Institute, Virginia Tech, VA, USA. From 2010 to 2016, I was the Vice President for research of METU and Chairman of Board of Directors of ODTU TEKNOKENT (METU Technopolis). My main responsibilities included strategies and policies for research and for university-industry partnership, relations with both public and private institutions, and corporate strategy management. From 2011 to 2018, I was a member of the Technology Advisory Board of Turkish Aerospace Industries (TAI). I am still involved in activities related to technology-based innovation, technology-based entrepreneurship, technology management, and research policies and strategies. Pathway Scoring Application is a Cytoscape plugin that evaluates the activity of cell signaling pathways by utilizing gene expression and ChIP-seq data. In the last 10 years, I am involved in machine learning for bioinformatics. My research efforts are focused on developing and applying computational techniques for the analysis of biological data and modeling of biological processes at the molecular level. The broad aim is to provide computational tools to assist researchers to understand, explain and predict the behavior of complex biological systems. My research activities take place in the Cancer Systems Biology Laboratory. Although the force-directed layout algorithm could be used to draw biological graphs, a modification is required when we would like to embed domain-specific knowledge. We proposed a modified and improved (Kamada-Kawai) force-directed layout algorithm, EClerize, to generate more readable layouts for biological graphs that represent pathways in which the vertices are identified with EC (Enzyme Commission) numbers. While the vertices with the same EC class numbers are treated as members of the same cluster, positions of vertices in clusters are affected by the biological similarity of each vertex in the same cluster and the theoretical length between the vertices.